We have a flow-wrapper line that will suit your needs. 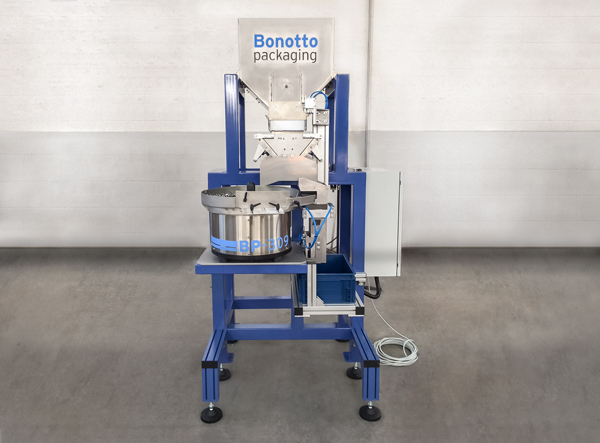 Free flowing products like powders, grains or loose items of any kind that shall be counted or weighted and go into a flexible bag, can use a Vertical Form-Fill-Seal machine for a simple and efficient solution. Precise counting or weighing for applications like kit packaging, hardware packing and other industrial jobs. 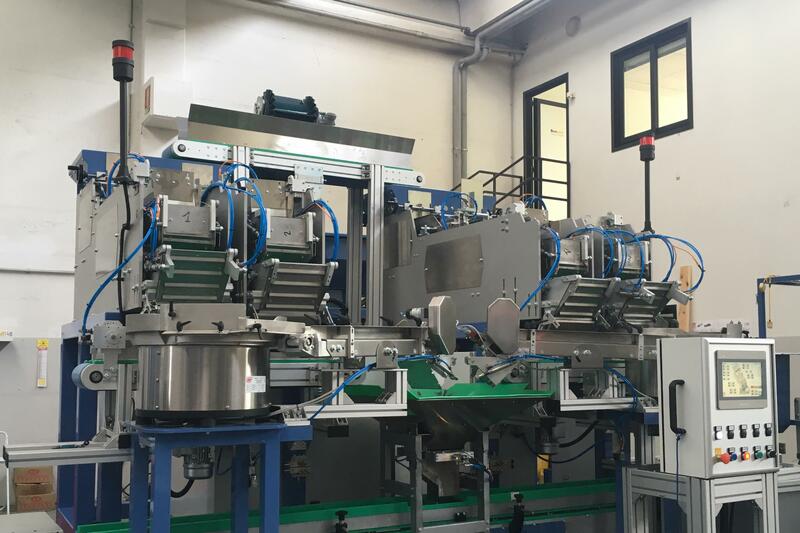 If you have a complete production and packaging line to develop we will help you to engineer it and find the best suitable solution for the best efficiency and profitability. Designed to package hardware or any free falling bulk products. 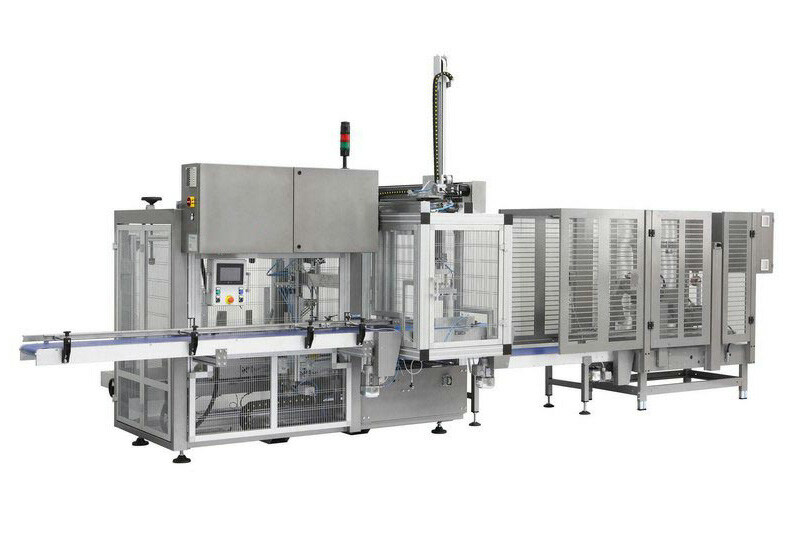 They can be integrated with automatic production lines and be synchronized with automatic feeding, counters and scales. Anodized aluminum side frame with adjoined electrical cabinet. Motor driven film unwind by toothed belts. Bag length regulated by encoder. Double cycle film unwind to make long bags. Available in PE or heat seal-able material version. Available in inclined version 45°. Machine built according to CE standards. BP-102 Max flat bag 175 mm by 300 mm length. BP-104 Max flat bag 270 mm by 400 mm length. 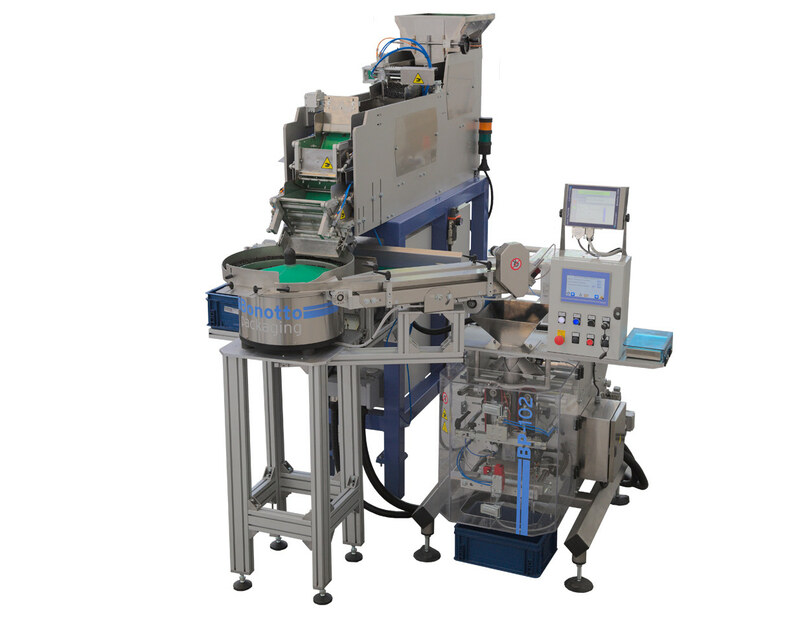 The BP-109/I Inclined form-fill-seal machine can be integrated in automatic production lines and synchronized with automatic feeding devices, weigh/count scales, parts counting systems, sorting and inspection machines. Rectangular forming tunnel: Min 60 x 80 mm – Max 180 x 105 mm. Support for heavy bag with vibration. The PLC controlled BP-305can weigh and count medium size hardware such as screws and bolts. The parts are dosed from bulk and can then be dropped into a bagger or a box, depending on the application. Pre-feed vibrating chute controlled by a mobile scale or photocell. N.2 Bulk-feed vibrating chute with pneumatic controlled closing flap. N.2 Weighing baskets with double gates to dump the products into the feeding conveyor or into the roller fine feed unit. N.1 Unit counting system with roller feeder controlled by DC motor. Weighing head with mechanically protected loading cell to offset any accidental overloads. Possibility to store different programs to suit various products. SPEED: Up to 10-15 dumps per min. 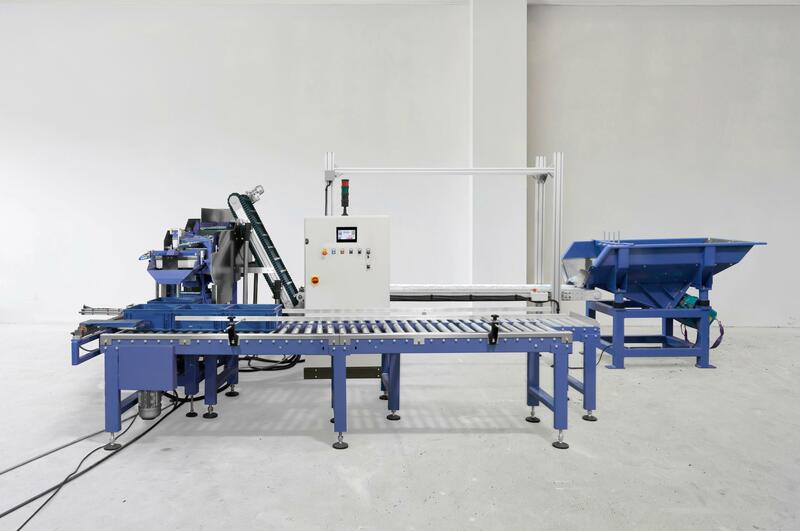 The PLC controlled BP-306 system can weigh and count small, medium and large size hardware such as nails, screws, bolts, plastic or aluminum casts and small parts in general. Parts can then be dropped into a bagger or a box. 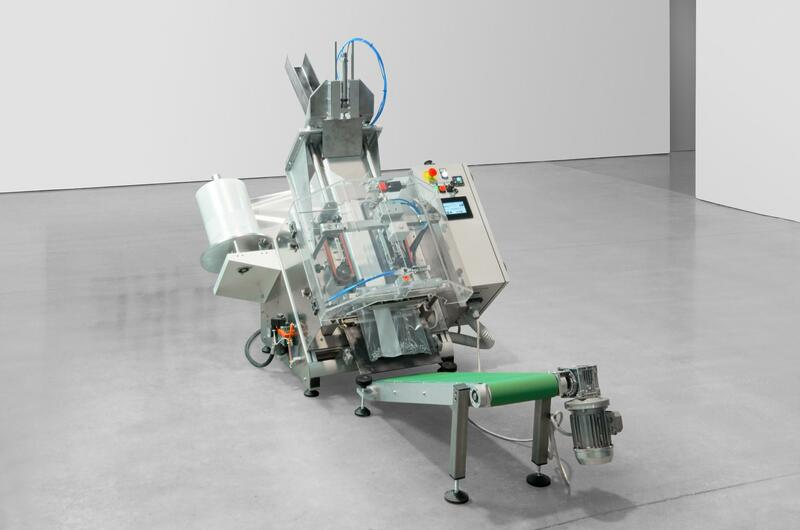 N.2 12-liter weighing baskets with pneumatic opening. Counting unit with photocell and synchronization basket. SPEED: Up to 20 cycles per min. The PLC controlled BP-309 scale is ideal for counting and weighing small and medium size hardware such as nails, screws, nuts, bolts, plastic and aluminum casts and small parts in general. Parts can then be dropped into a bagger or Carton. The PLC controlled BP-310 scale is ideal for counting and weighing small, medium and large size hardware such as nails, screws, nuts, bolts, plastic and aluminum casts and small parts in general. Pre-feed vibrating chute controlled by photocell. Bulk feed vibrating chute with pneumatic controlled closing flap. Fine feed vibrating chute with pneumatic controlled closing flap. The carton former BP-402 forms flat cartons to create boxes with or without cover. 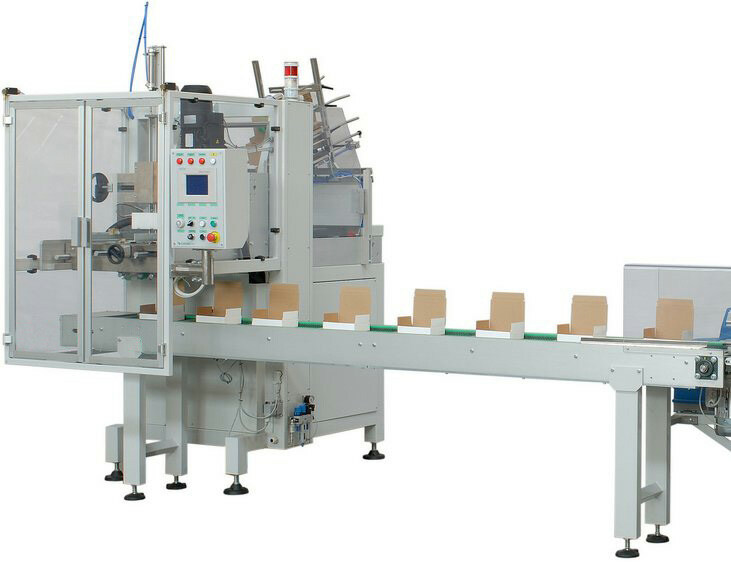 The machine is equipped with a carton magazine unit with an automatic arm that grabs flat cartons from the magazine with suction cups. It then uses a hot glue spraying device for gluing flaps if needed. The boxes, after being formed with a replaceable forming head, travel on an exit conveyor to go to the filling stations. Box assembling through hot-melt glue application or tuck-in closing. BP-503 forms a carton securing it with tape on the bottom. 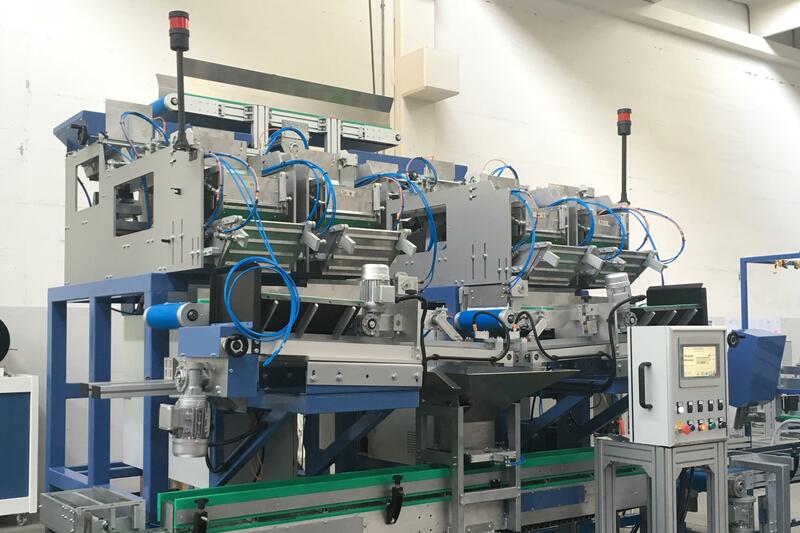 The carton is then moved to the filling station where products are placed in the b by a picking head equipped with suction cups and /or pneumatically operated holders. Lower flap closure with either tape or hot melt glue. Carton magazine with suction cups picking arm. Product conveyor belt with variable speed controlled by inverter, and stop function to separate the product. By-pass device for product unloading. Pick-up head with vacuum or pneumatic pliers. Top loading movements controlled by integrated PLC.